Thanksgiving is a time to surround yourself with loved ones, test how far you can stretch your appetite and give thanks for the good fortune in your life. The holiday season brings warmth and comfort despite declining temperatures, and the changing colors of the landscape—especially in the Willamette Valley—are stunning. A seasonal celebration such as this calls for more than just one day as part of the annual Thanksgiving Weekend Celebration in Willamette Valley wine country. It would be a disservice to your taste buds and your quest for culture to miss this event—with special tastings, food pairings, live music and holiday discounts at 165 participating wineries. Each winery offers its own flair while celebrating family and friends, the completion of another year’s harvest and, of course, the fine bounty of Oregon’s world-class wine region. 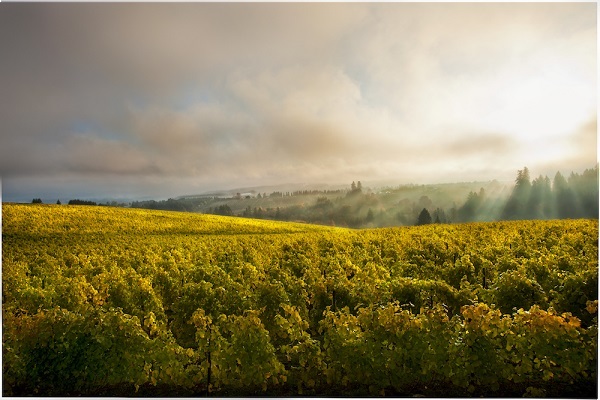 Bring friends, family and holiday guests to delight in the highly regarded Oregon wine scene. Get an exclusive look at limited production vintages, discover new favorites and soak up the knowledge of winemakers and wine lovers. Every pour will give you another reason to be thankful. Thanksgiving is not all about award-winning Pinots, delectable food, good company and beautiful scenery, it is also about giving back to your community. The Willamette Valley Wineries Association (WVWA) understands this well, which is why the festive weekend will incorporate Willamette Cares Food Share this year. 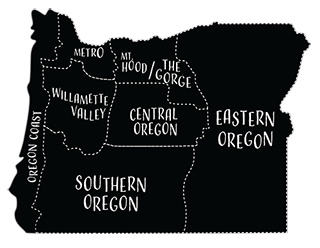 75+ wineries partner with the Oregon Food Bank to collect 200,000 pounds of non-perishable food for hungry families throughout our communities.